Since Prince Harry raised public awareness of the importance of mental health, many organisations are now investing in training to make their managers more aware of mental health issues. They want to know what they can do, to ensure that their workplace culture is one that promotes good mental health. In addition, organisations know that they must eliminate any dangerous cultural practices, that could contribute to mental health problems. They are helping managers understand what mental health is; how mental health can affect work performance; what work factors promote good mental health; what factors may be mental health risks; how to spot mental health warning signs; and how to develop a code of conduct that will promote good mental health. What is meant by the term "mental health". Mental health is the state whereby people feel the optimum emotional responses, that are appropriate to the circumstances that they face. Mental health impacts your bottom line results. Mental health impacts results, because mental health is about building optimum emotional responses. Poor mental health creates inappropriate, or destructive emotional responses to the circumstances; which impacts on results. Organisations and managers need to take a more Holistic view of people. We need to recognise that four elements combine to affect mental health: Mind, body, social and environmental. Let us look at the power of the human mind. You need to recognise the power of the human mind, which creates both good health and ill health. The rule to remember is: You become what you think about. We all have thought habits. We all have both constructive and destructive thought habits. Some people specialise in having constructive thought habits. Other people specialise in having destructive thought habits. Most people have a mixed bag of thought habits. People with mental health problems have created mental habits of a destructive nature. They need help to change their thought habits. The self-image is the sum of all your thoughts and beliefs about who you are, what you think your abilities and limitations are, and how you fit into the social setting. The key to good mental health is the self-image. Some people have a strong self-image, whilst other people have a very weak self-image. If you want to gain better mental health, it is important to understand the self-image is the driving force point for all mental health states. How self-image is revealed in what people say about themselves and others. You can tell something about a person's self-image, by asking them to complete the following sentence. "I am a ...... person." I am a talented person. Shows signs of a good self-image. I am a very unlucky person. Shows signs of a poor self-image. I am a loving person. Shows signs of a good self-image. I am not a very confident person. Shows signs of a poor self-image. 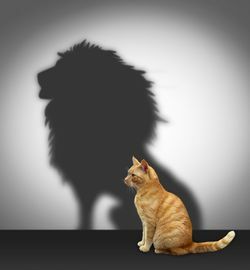 What managers can do to foster a stronger self-image. You made a sale, you are a great sales person. You put the bins out, you are very thoughtful. You came in early, that is very professional. "You failed to make the sale. You are not a very good sales person". "You did not put the bins out, you are lazy". "You came in late, that is very unprofessional". Sometimes managers say this, albeit accidentally, and this can be dangerous to the self-image. The trick is to build up people's self-image, by finding instances of good behaviour and linking it to their self-image. At the same time, you want to avoid destroying a person's self-image. So, if the person fails, you name the failure as a behaviour, NOT as a character trait or identity statement. "You are late, that is totally unprofessional". This is a behavioural statement, together with a reference to self-image. Your task as a manager, (friend, husband, wife, mother, father or human being) is to build up the self-image of those around you, so that they feel better about themselves. At the same time, your task is to NOT say things that are derogatory or antagonistic to a healthy self-image.